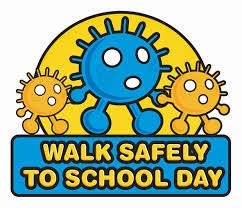 Goodwood Primary School is holding their Walk Safely to School Day (WSTSD) this Thursday 21st May – one day ahead of the national event. Local WSTSD ambassador and parent, Amanda Blair has supported the school with the following program:Children and parents meeting from 5 designated meeting points to walk to school from;Upon arrival through our main Goodwood Road gate entrance, participants will be greeted and acknowledged by the Principal and provided with a piece fruit that has been donated by Goodwood Fresh and Adelaide Produce Market to support this event. The Today Show on Channel Nine is filming a segment on Thursday morning to air at 7.15 pm encouraging all children around Australia to participate on Friday. This involves 10 Goodwood Primary School students. Channel 10 will be filming their weather cross at the school Thursday night. What a great event for the students, the school and the wider community. What you see when out letterboxing? Ever seen a fruit bat?